So far I have introduced two wonderfully effective strategies for increasing the frequency and intensity of happiness in our lives: JoyInciter #1–the Thanksgiving Book and JoyInciter #2–the Walking Into strategy. Are you practicing with either of them? 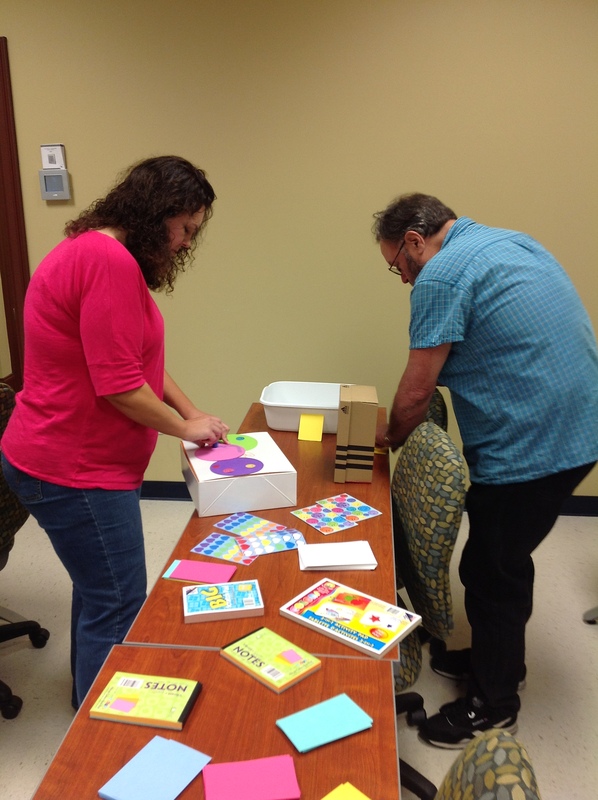 The third JoyInciter–the Happiness Box– is both fun and transformationally creative. Let’s talk about it. Recently I (along with Mr. Happy) presented a workshop for the Georgia Southern Writing Project and The Thinking and Learning Institute at City Campus in downtown Statesboro. (Gosh, that’s a mouthful.) (By the way, City Campus is a very cool entrepreneurial outreach of Georgia Southern.) 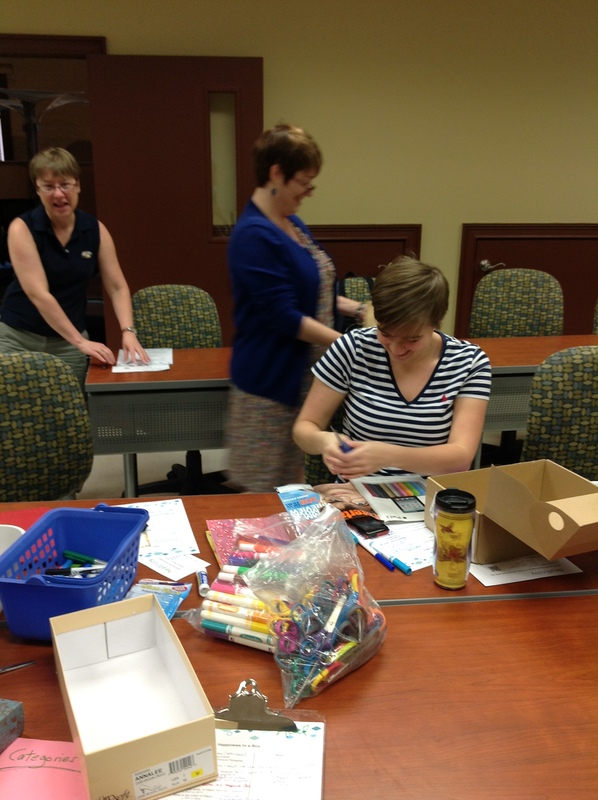 This workshop, titled “Happiness in a Box,” is based on today’s third JoyInciter. Before we discuss the “how” of the Happiness Box, let’s briefly examine two “why’s.” First, theoretically speaking, that which we consistently place our “gaze” upon, we will SEE in our world, in our reality. (And all our realities are in constant morph mode, depending on where and how long we place our “mindsight.”) My school, Georgia Southern, for example, is a party school for those who choose to see it in that light. However, GSU is a rigorous academic institution for eyes which view it from that perspective. I suggest to you (and what I’m about to say is the HEART of this blog) that we need to take great care about where we place our consistent, ongoing attention. The second Happiness Box “why” is childlike and fundamental: making and maintaining this box is FUN and makes one happier, more excited, hopeful, and expectant of good. Next, go through magazines, brochures, newspapers, etc. and find pictures of that which gives you joy. Anything. I suggest that you DO NOT worry about trying to organize or structure this process–have fun with it. Look for pictures, colors, words, abstractions that “light you up” in some way. Cut them out and put them in your box. Also look for photos, little items, paint samples, memorabilia which cause your heart to sing. 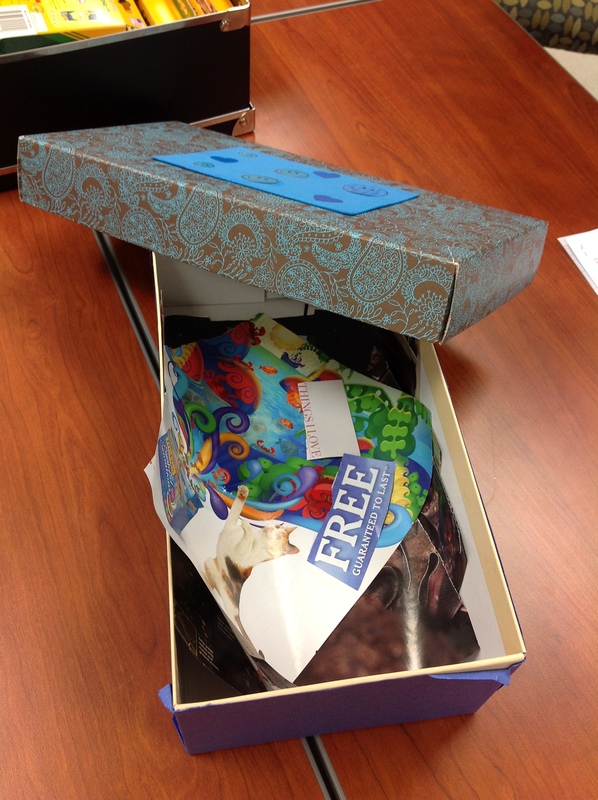 You have thus started the Happiness Box strategy. Keep adding to your box, and from time to time, empty it onto your dining room table or your bed or floor. Look at all that you have accumulated. If you are like most of my students (and me), you will see categories of happiness begin to emerge: family, material desires, spirituality, food, goals, accomplishments, hobbies, memories, sports, pets, etc. The more you add to your happiness box, the greater the sense of joy and expectation. A wonderful added benefit is that by creating the box, you begin to get CLEARER about that which you really want. It’s so much fun to look through your accumulated desires. 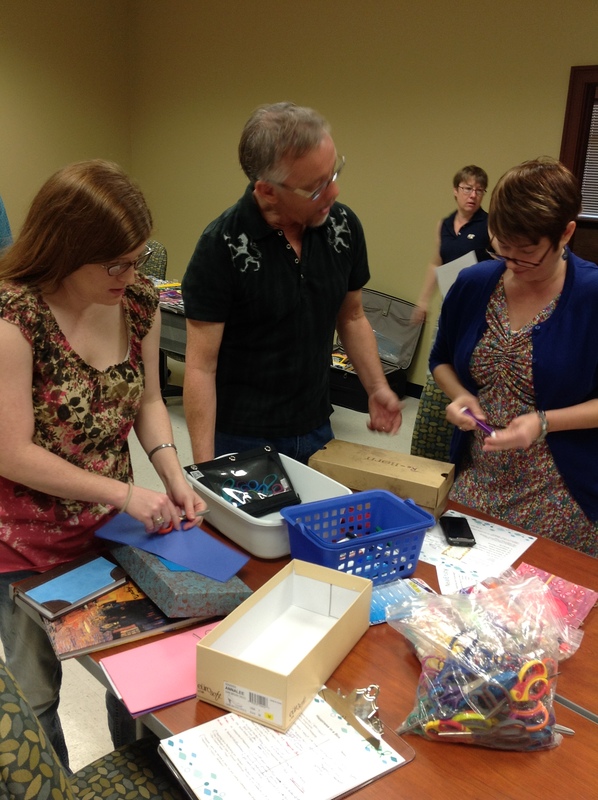 Here are some workshop participants working on their boxes. So there it is, JoyInciter #3, The Happiness Box. I urge you to make one for yourself, and begin to get clearer about what makes you joyful and exuberant.